From startup ventures to some Fortune 500 technology companies, Ashish’s background spans over 20 years in the M2M/IoT, Cloud computing, Big Data industries in a wide variety of Product Management and Marketing & Strategy leadership roles. He has led multiple product management and go to market efforts to introduce cutting edge Cloud, Big Data, “As a service” solutions in the US and global markets catering specifically to IIOT, Smart Cities, Smart Grid, ITS and Service Provider segments. His areas of interest are focused on building products leveraging new software architectures and restructuring the current business models to enable the enterprises to transition to a IOT enabled connected enterprise and develop new revenue models for their end consumers. As a clear strategic thinker, he has an excellent track record of launching products from concept to launch and is experienced in thinking and executing global go-to market strategies. 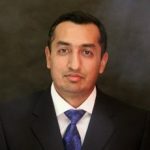 Ashish holds a BS in Computer Engineering and an MBA in Marketing & Strategy from Ohio State University. As a prominent industry executive, he shares his experience and insights through speaking engagements at multiple Big Data, IoT, AI, Cloud Computing conferences and as needed with various regulatory and standardization bodies.